T29018 - Coat of-arms Logo and Text Wall Plaques for the Highgate Hotel. 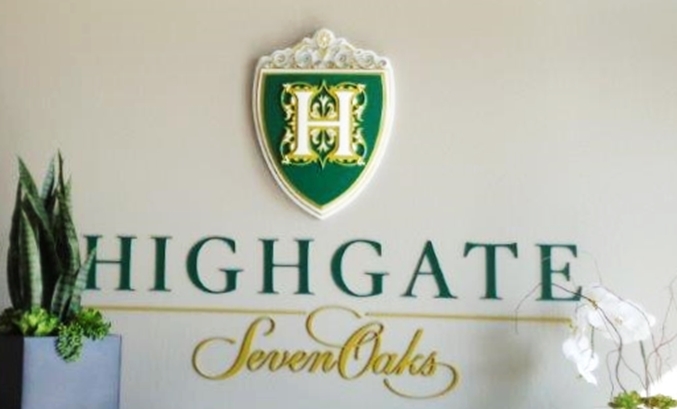 This coat of-arms logo wall plaque designates the Highgate Hotel. It and the green and gold text below are carved in 3-D bas relief and artist brush painted in royal green white and metallic gold. The plaque and letters are clear-coated twice for additional weather and UV protection. This plaque and the letters below can be mounted outside the entrance door of the hotel on an adjacent wall, or in an interior lobby, as shown in the photo .